Nothing feels cozier than a sweater and there's an unstoppable sweater for just about any personal sense of fashion and weather condition. 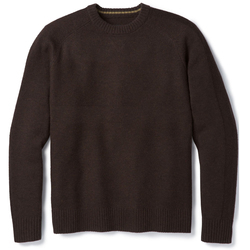 With legions of styles, colors and materials available, men can find a sweater for any occasion and activity. Zip-front sweaters, button-up cardigans and henley styles allow adjustable amounts of ventilation, making them unbeatable for active wearers and variable temperature conditions. 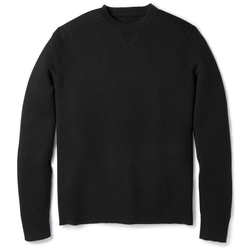 Crew and v-necks impart a more timeless look and provide consistent warmth. You can comfortably layer fitted sweaters underneath heavier or waterproof jackets during frigid temperatures or layer sweaters over lighter tees or tanks when you anticipate a temperature increase throughout the day. 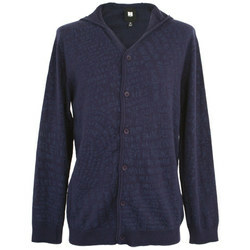 Many sweaters are available in solid colors, such as grey, navy and black. Others come in stylish stripes or classic wintry ski patterns. Quintessential brands include Volcom, Insight, Lifetime Collective, The North Face, Spyder, Sitka, Billabong, Burton Snowboards, Electric, Patagonia, Obey, RVCA, Smart Wool and Vans.